In business, as in life, you’re either growing or stagnating. We’ve seen it in the education sector: schools that fail to attract and enroll students find their competitors nudging them out of the way. That’s huge motivation for us to be as effective as we can in giving you the tools to grow. 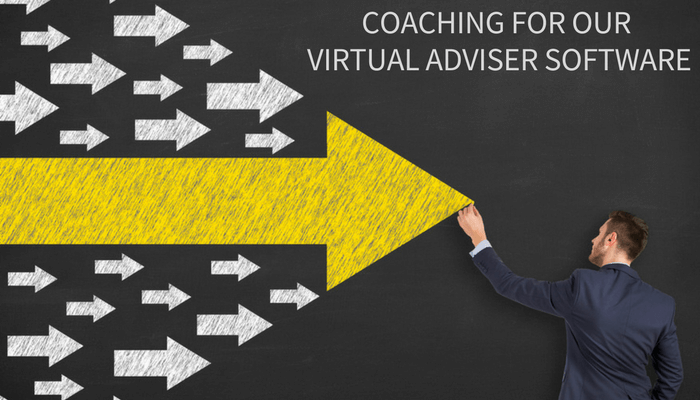 So starting in 2017, our Virtual Adviser Software comes with coaching on new product features. Each completed survey results in an insight – usually a lead – that you can follow up right away. By digging into the admin section behind the software, you’ll learn what to emphasize as you engage those potential students. Our coaching helps you to work with the personalities and situations of each student. Instead of a school “salesperson”, you’ll be seen as a trusted adviser with in-depth knowledge of your student’s wants and needs. Another area where Enrollment Management coaching can really help get the most out of Virtual Admissions software is in market analysis. The latest version makes data easy to analyze, with charts and graphs built automatically from the raw information. And as new features are added, you’ll stay on top of the changes. Most importantly, we want to work with our clients using the best practices that we embed into our Virtual Adviser software. You would treat each potential student as an individual on a path to personal growth; that same treatment is what you can expect when you partner with Enrollment Resources. The software and coaching combination delivers optimum effectiveness for your school’s growth. And when your school is producing increasing numbers of satisfied, qualified graduates, everybody wins.